Very comfortable, spacious accommodation! We had a great time in Osnabrück. Everything is within 15-20 minutes walking distance. Grocery shops are just around the corner. All in all a very nice place to stay! Very nice modern, urban style small apartment, ideally for two people, or even three, given the couch in the living room. Everything was in order and nice and clean when we got there. Was met by a service minded, pleasant host. The area is in a more quiet part of town, in a old-style cobblestone street, pulled a little away from the main traffic roads. But keep in mind it is still central, so a little outside noise must be expected. Town center with shopping street only a couple minutes away by car - or you might even walk if you don't mind 15-20 mins walk. Would probably recommend a bus if car is not an option. There are quite a selection of small restaurants in the local area, as well as grocery store, pharmacy and bakery just a walk down the street. Everything was great! We were so pleased to arrive at a clean, modern and beautiful apartment! It is spacious, has all the necessary facilities, wi-fi. Highly recommend to everyone! Thanks to the host, we enjoyed our stay! 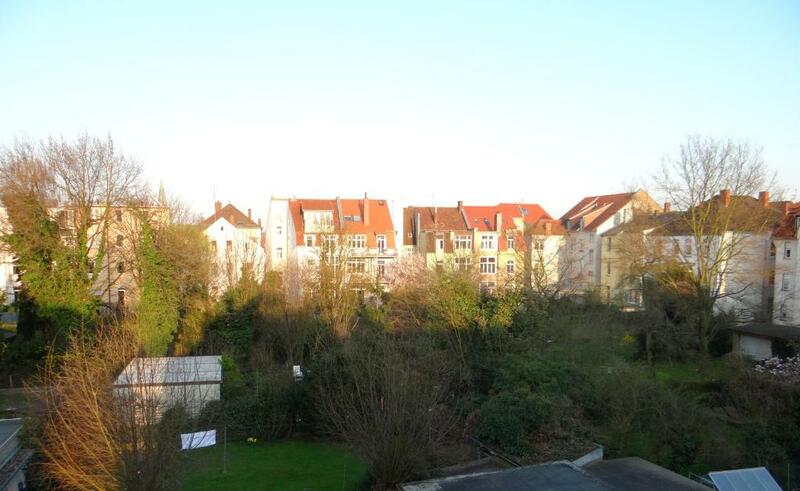 The apartment is very well situated in calm surrounding within walking distance to the beautiful historical city centre. Very nice bakery and other facilities nearby. Very friendly and helpful owners. A truly nice place to stay at. Eine sehr schöne, geräumige Unterkunft! Wir waren 6 Erwachsene und dafür war's perfekt. Besonders schön war der große Esstisch, wo wir alle ohne Probleme zusammen dran gepasst haben. 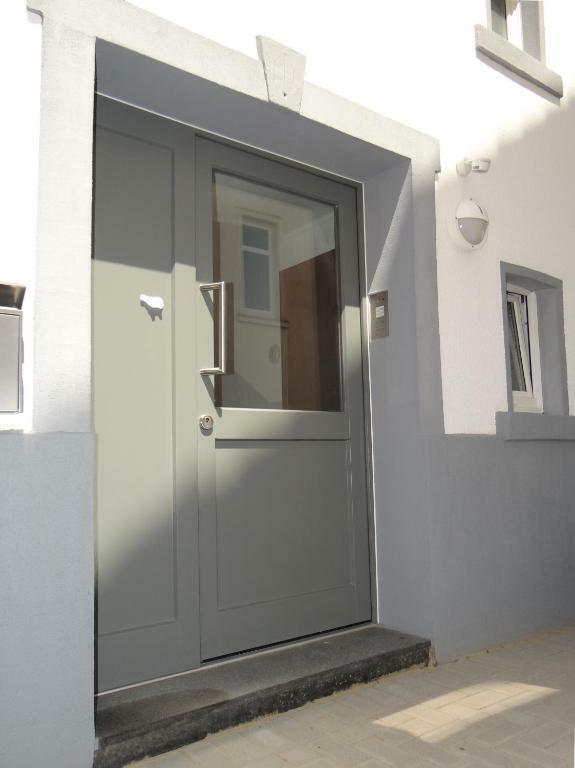 Sehr saubere Wohnung in einer super Lage und einer sehr netten Gastgeberin. Klare Weiterempfehlung! Die Lage zum Zentrum ist sehr gut. Sehr ruhige Anliegerstraße. Die Ausstattung ist vollständig. Die Ansprechpartnerin vor Ort war sehr hilfsbereit und nett. War schon unser zweiter Aufenthalt dort und beide Male was es wirklich super. Immer wieder gerne, sehr schön und empfehlenswert. Sehr modern eingerichtete Unterkunft. Es hat an nichts gefehlt! Hatten die oberste Etage. Lage der Unterkunft sehr gut. (10 Minuten zu Fuß in die Innenstadt.) Freundlicher Empfang! Lock in a great price for Katharina Boardinghouse – rated 9.3 by recent guests! Katharina Boardinghouse offers accommodations in Osnabrück. Felix-Nussbaum-Haus is 2,300 feet from the property. Free WiFi is available throughout the property. The accommodations is equipped with a flat-screen TV. There is a seating and/or dining area in some units. There is also a kitchen, fitted with an oven, toaster and fridge. A stovetop and coffee machine are also featured. There is a private bathroom with a hairdryer in every unit. Towels are offered. 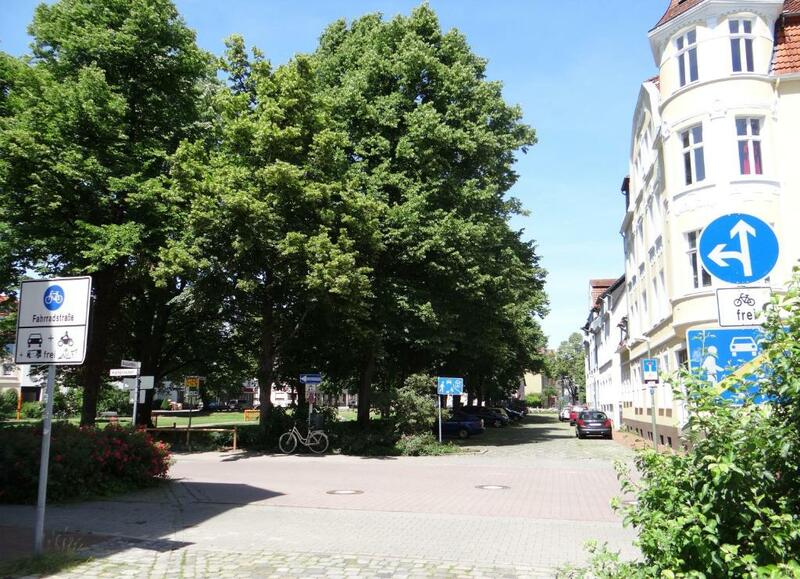 University of Osnabrueck is 0.6 mi from Katharina Boardinghouse. Munster Osnabruck International Airport is 17 mi away. When would you like to stay at Katharina Boardinghouse? Apartment Katharina: This apartment has a washing machine, kitchenware and dining area. Apartment Margareta: This apartment has a washing machine, kitchenware and dining area. Apartment Elisa: This apartment has a washing machine, kitchenware and dining area. The practically designed apartment with about 50 m² has 2 rooms, kitchen and bathroom with shower. It is located on the 1st floor in an renovated old building with high ceilings. The open kitchen and the living room will delight you. The flat was renovated in september 2015, all furniture is new. The beds can be used separately or as double bed . Towels and sheets are provided. Iron and hair dryer are also available. Standard spices can be found in the kitchen. The landlords do not live in the same house. House Rules Katharina Boardinghouse takes special requests – add in the next step! Please inform Katharina Boardinghouse of your expected arrival time in advance. You can use the Special Requests box when booking, or contact the property directly using the contact details in your confirmation. The person who receive us was very kind.